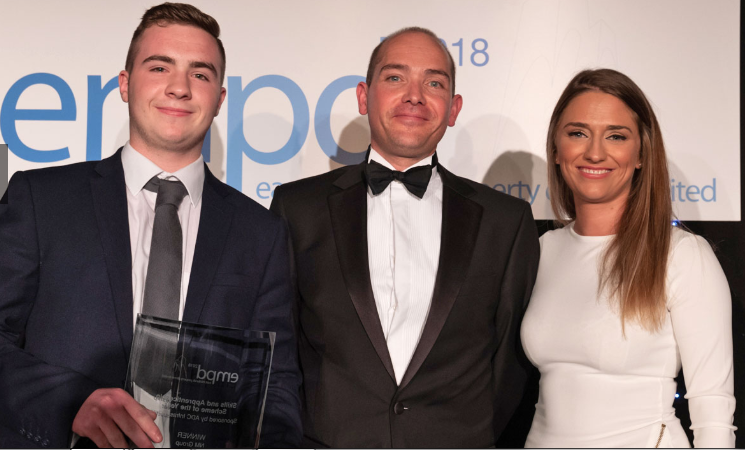 We are delighted to announce we have won the Skills & Apprenticeship Scheme of the Year award at the 18th Annual East Midlands Property Dinner. This recognition pays homage to our pioneering approach and dedicated investment in attracting the best talent for the future. The Awards’ Judging panel cited our innovative new training programme and a forward-thinking approach to training our people and apprenticeship opportunities, as our key differentiator in securing this win. To date, our continued work in this area has helped us buck national trends, which have seen apprenticeship numbers falling significantly in the past year. Karen Morris, group HR director said: “The success of our business is built from the expertise and dedication of our people, so we are delighted to have won this award. In an industry faced with different challenges, it is crucial that we support and nurture a highly competent workforce. Therefore, tailoring our training and development approach to meet the needs of emerging talent, illustrates our ongoing commitment to support the industry’s next generation”. The annual awards are given, in recognition of the region’s most important developments and programmes over the previous 12-months. Read more about the awards here.